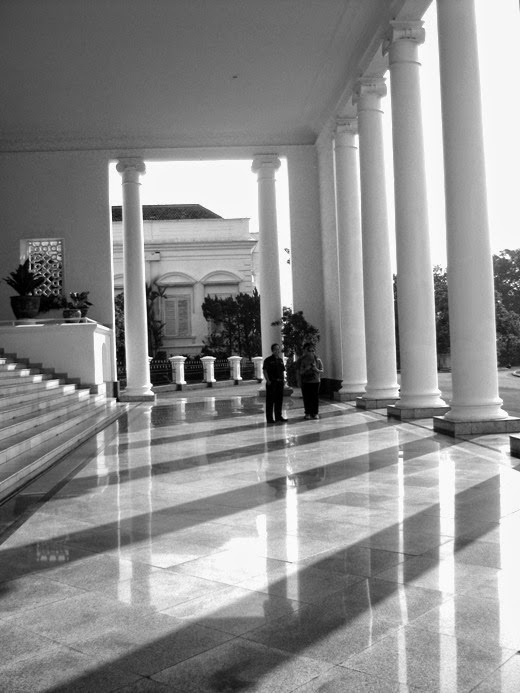 Bogor Presidential Palace (Bogor,West Java, Indonesia) has lots of pillars to support the building structure. I captured some tall pillars in the main building. Before entering the main doors, these tall pillars are welcoming every guest. Wonderful strong pillars. They make excellent shapes. Great series. A great b&w serie, looks like a special house! Such a shiny floor…I wonder who - is doing the cleaning! An exquisite light, wonderful, beautiful tones in B & W! Excellent photos! Gorgeous shots! 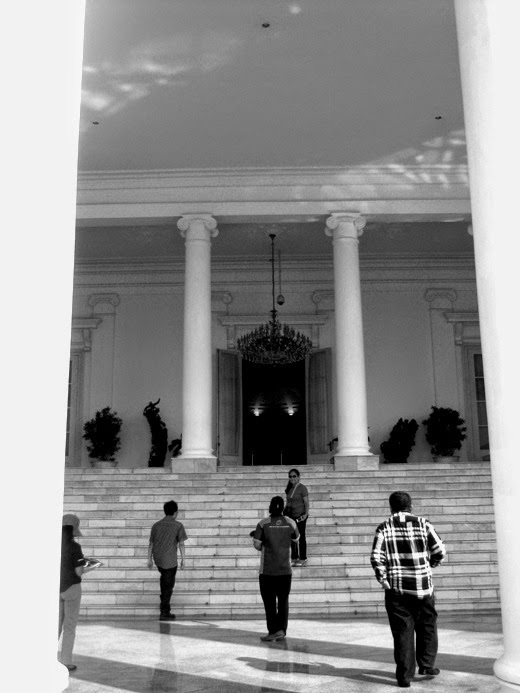 I love all those beautiful white pillars. Great sequence of black and white shots. 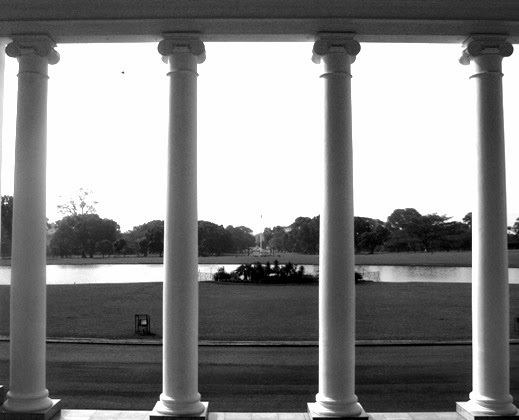 I love columns, a legacy left from out forefathers. Very nice in monochrome.